At Massa, we design, engineer, and manufacture for a wide variety of applications. We offer standard, OEM, and customized configurations. For more information, please visit our Ultrasonic Sensors page, our Ultrasonic Transducers page, our Oceanographic page, or our Customized Solutions page. 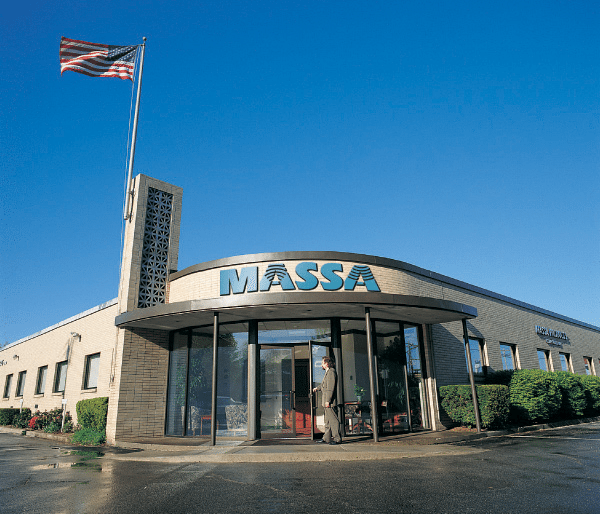 For more than 70 years, Massa has been developing and manufacturing specialized electroacoustic transducers and systems for both commercial and military applications. Some of these devices are high-frequency ultrasonic sensors for use in air, and others are for underwater sonar and oceanographic applications for which we have been awarded over 165 U.S. Patents. We have highly skilled & talented employees, many of whom have been with us for years and have decades of experience. Massa is certified to ISO 9001 Standards. Our facility is housed in a 70,000 sq. ft. building in Hingham, MA. Massa specializes in designing and manufacturing the highest quality level sensors that are ideal for non-contact distance measurement in even the harshest environments. Massa produces several different series of level sensors and monitoring transmitter modules that provide reliable continuous level or distance measurements of fluids, pastes, solid bulk materials, or mechanical structures for application ranges from 1 inch (25 mm) to 35 feet (10.7 m). MassaSonic Sensors are ideal for level switch and a variety of other applications. For more information, please visit our Ultrasonic sensors page. Massa has developed many different ultrasonic transducer designs for an extremely wide range of applications for use in air. We created the first standard microphones for accurately measuring sound fields in the ultrasonic range and the first standard accelometers to measure vibrations and shock pulses at frequencies up to 100 kHz. Hundreds of different transducers have been designed that operate at different frequency ranges of 20-500 kHz, and millions of transducers have been manufactured for many different applications. For more information, please visit our Ultrasonic Transducers page. Massa has developed a wide variety of different underwater sonar transducers and systems for both commercial oceanographic applications and for use by the Military. We have successfully performed on over 650 sonar development and production contracts, and have received over 60 contracts during the past five years. Virtually all have been successfully completed on or ahead of schedule. For more information, please visit our Military Applications and Oceanographic pages.